Our simple pricing structure means you know exactly what you'll be paying. We check our prices locally and believe we are amongst the most competitive when comparing like for like! We have storage options for all budgets: Have a look at the different types of storage we have to offer. Located in the Heart of Nuneaton on the Attleborough Fields Industrial Estate, we are ideally situated to serve the storage needs of Nuneaton, Bedworth, Bulkington, Weddington and Whitestone. 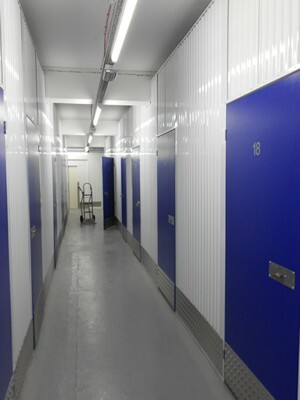 Perfect for home or business storage, whether it's storing documents and files to create more space in your office, decluttering your home to get it ready for selling, storing your belongings while you move house, or just some ad-hoc self storage while you decorate a room, we have a unit to suit. Our store is located a short distance from Hinckley, so we are able to provide top-quality indoor storage to residents of Hinckley and Burbage too. Constructed within a converted modern office building, Nuneaton Self Storage offers secure, dry, easily accesible rooms and features intruder and fire alarm systems, CCTV systems with remote access, security fencing around the perimeter and the site is staffed during hours of access.